At thirty, Long still exudes a boyish passion for racing, and his role as Porsche poster child is well served by his sunny, all-American image. He grew up in suburban Los Angeles in a hotbed of surfers (like his father) and skateboarders (his brother, Kevin, is a top pro). But despite his all-American persona, Long attributes his success in racing to moving to Europe while he was in high school. Not only did that pit him against the best karters in the world, but it also demonstrated how committed he was to making racing his career. When he was five, Long’s Christmas present was a hand-welded go-kart that his father and uncle picked up for $75 at a garage sale. 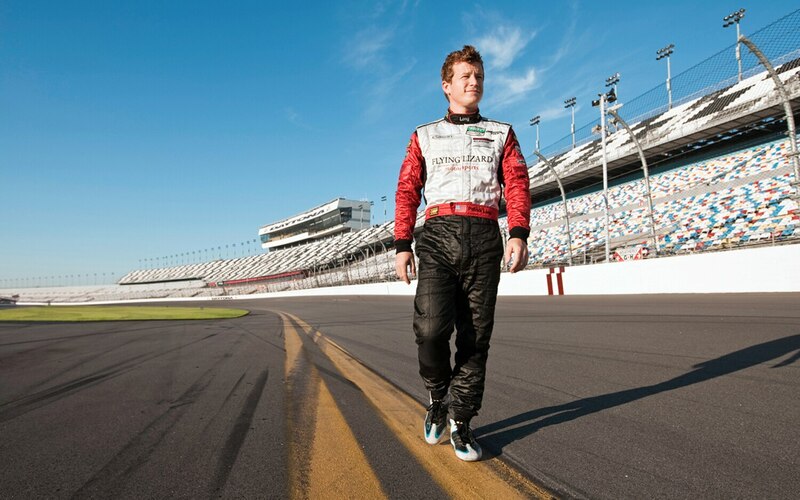 He started racing when he was eight, won his first national championship when he was ten, raced in Europe for the first time when he was fourteen. The next year, while he was a junior in high school, he moved to a small town near Lake Garda, in the heart of Italian kart country, to race — and work in the shop — for kart-chassis manufacturer CRG. There, Long learned to speak Italian and underwent his baptism by fire. Long became the first American in twenty years to win an international kart race in Europe. This led to a fully paid Elf Formula Campus scholarship. He moved to Le Mans, learned French, and finished third in the series championship in his first season racing cars. Next came two years in England and several impressive wins in Formula Fords, plus a Skip Barber scholarship back in the States. Formula 1 was his goal, but Long couldn’t raise the money he needed to take the next step up the ladder. Then, providentially, the much-ballyhooed Red Bull Driver Search came out of nowhere, and he was one of the fifteen finalists who competed in a shoot-out for what was ultimately supposed to be a shot at Formula 1. Long was devastated when he didn’t make the cut. (Scott Speed got the gig and rode it all the way to F1.) But Porsche liked what they’d seen of Long during the two-month-long Red Bull media circus. After testing him in a 911 Carrera Cup car and subjecting him to a battery of interviews, Porsche offered him a slot on its junior team. The contract would give him the security of a full-time job racing sports cars, but it would close the door on F1. As a factory driver, Long is subcontracted out to whatever team Porsche wants him to drive for. 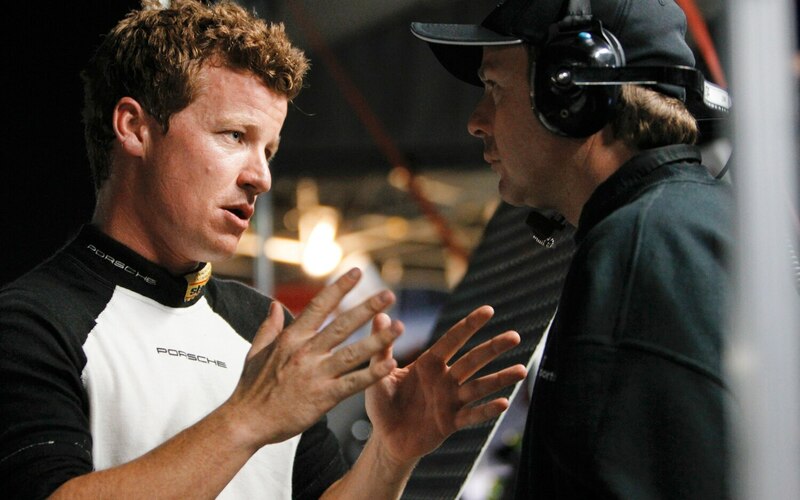 For 2012, he’s been assigned to partner longtime teammate Joerg Bergmeister at Flying Lizard in ALMS. He’ll also run a handful of one-off races, such as the Rolex 24, where he and Bergmeister will be joined by Audi factory driver Mike Rockenfeller and team owner Seth Neiman. Long has spent virtually his entire life at racetracks. Naturally, after two decades of nearly nonstop competition, he gets tired of the grind, and there are times he’d rather be hanging with his girlfriend or chilling on a wakeboard. But Long subscribes to the racing-is-life credo articulated by an earlier Porsche icon, Steve McQueen. Long is carving through Malibu Canyon in a 4.0-liter 911 GT3 RS he’s borrowed from Porsche. These are the hairpins and switchbacks he drove as a teenager from his home in the San Fernando Valley to the surf beaches around Malibu. His pace is sedate; he doesn’t want to hustle over a blind crest and clip a biker. Plus, he gets all the excitement he needs in a race car. Or so he says. Long will probably run about thirty races this year. Besides ALMS, he’s looking at Porsche rides at Daytona, Le Mans, and the Nuerburgring. He’s also hoping to race in Australia in a V8 Supercar, in NASCAR in a Nationwide car, in Latin America in a touring car, and possibly on the dirt at Du Quoin in an ARCA stock car. With few exceptions, though, he’ll rarely be in cars that can compete for overall wins. If Long had been born thirty or forty years earlier, when Porsche was building 917s, 935s, 956s, and 962s instead of focusing on GT-class 911s, his mantel might be groaning under the weight of Le Mans, Daytona, and Sebring trophies. Or who knows? If funding hadn’t been a prerequisite for advancement, maybe he’d be in Formula 1 today. Long shrugs when asked about the roads not taken. Which is why he’s giving a thrill ride in a GT3 RS during a brief sojourn in Southern California before returning to Daytona. And visiting sponsors in Corona and Orange County. And meeting with a Hollywood producer. And doing a rare day of private coaching at Willow Springs International Raceway. Not merely filling time but looking for opportunities. He hangs a left onto the Pacific Coast Highway. To the west, waves are breaking lazily at First Point, and you can’t help but think that Patrick Long is right where he wants to be. Three-time American Le Mans Series champion. Two-time class winner at Le Mans. 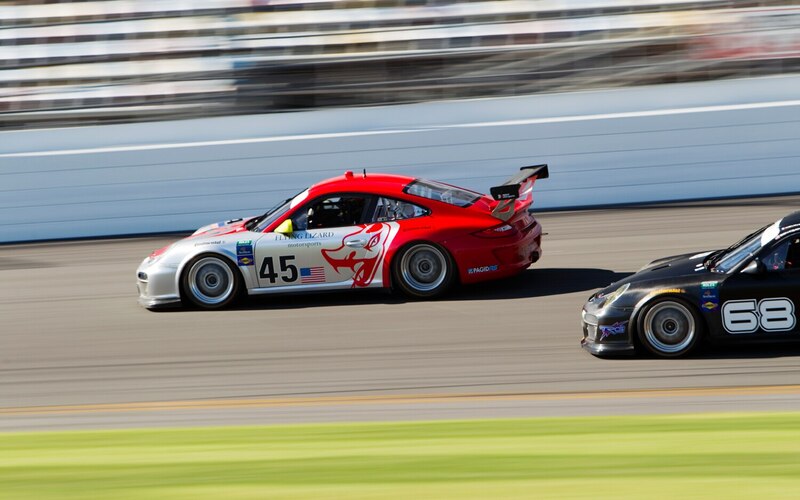 Class winner in the Rolex 24 and the Mobil 1 Twelve Hours of Sebring. Pirelli World Challenge champion.